Good Samaritan Program - Created and designed by our church to offer temporary assistance to locals and travelers who have an emergency need for food, gas, and shelter. This program is funded by donations collected from the altar during Holy Communion worship services. Applicants are screened. When available, we also offer bottled water and a supply pack. Sacred Heart Southern Missions - This is a charity program administered by the Saint Joseph Catholic Church in Holly Springs. 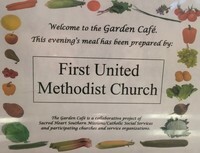 We and other churches partner with them in cooking, cleaning, and serving meals for needy locals on Tuesday Nights at Garden Cafe. The program also includes donated clothing and food containers for anyone in need. Holiday Program - This program is aimed at local nursing home residents. We provide Christmas gifts and Easter baskets to residents at the Trinity and Christophers facilities annually. 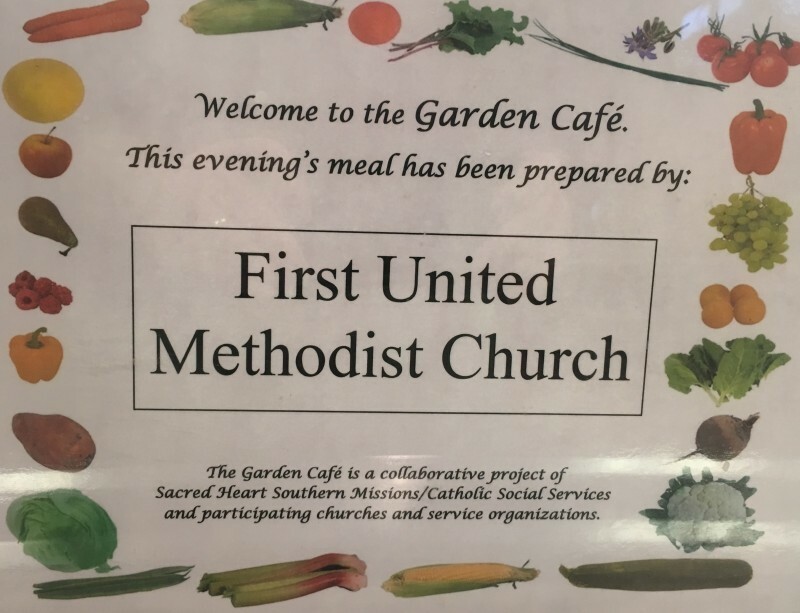 UMW Ministries - This is a group of United Methodist Women in our local church who take on special projects and ministries as the need arises. In 2018, our UMW are supporting the financial needs of Wesley Meadows (a UM assisted-living facility) in Hernando, Mississippi through awareness and fundraising. Operation Christmas Child - This is a program in support of Samaritan's Purse. We fill and pack shoeboxes for children all over the world to be opened up at Christmas time. Evangelism Program - For visitors who have spiritual needs, we offer love, guidance, prayer, and a Bible if needed. VBS Program - We partner with other local churches in a joint Vacation Bible School Program for children during the summer. Flood Buckets - When the need arises, we supply and fill flood buckets in support of UMCOR (United Methodist Committee on Relief) to help with the cleanup needs after a storm or flood. We also give donations to this organization through our mission shares. Mission Share Program - To support the ministry efforts of our United Methodist denomination, we give money every year to our Jurisdiction, District, and local Annual Conference. Listed are some areas of our giving to the greater community: Community Help Centers (supports six centers within our Annual Conference to minister to children, youth, and adults. The centers serve the poor and disadvantaged by offering affordable childcare, after-school care, training & education, abuse prevention, feeding ministries, etc. ), Methodist Children's Home (providing housing and care for abused and neglected children and youth), Choctaw Mission (ministry to Native American Mississippians in three counties), Spiritual Leadership (provides training and care for all Conference clergy), United Methodist Hour (spreading the Gospel of Jesus Christ through radio/tv), Mississippi Campus Ministries (colleges with Wesley Foundations), Ministerial Education Fund (helps supplement college tuition for qualified seminary students), Faith Community Formation (new church plants and revitilization of existing churches), Camp Lake Stephens (summer camp, retreats, training, special events), and three other camp/retreat centers, and Rust College (historically black United Methodist-related liberal arts college in Holly Springs).